For the last few years, and year-round, my favourite drink – other than the occasional margarita or three at the Border Cafe – has been the Arnold Palmer (the non-alcoholic version, that is). 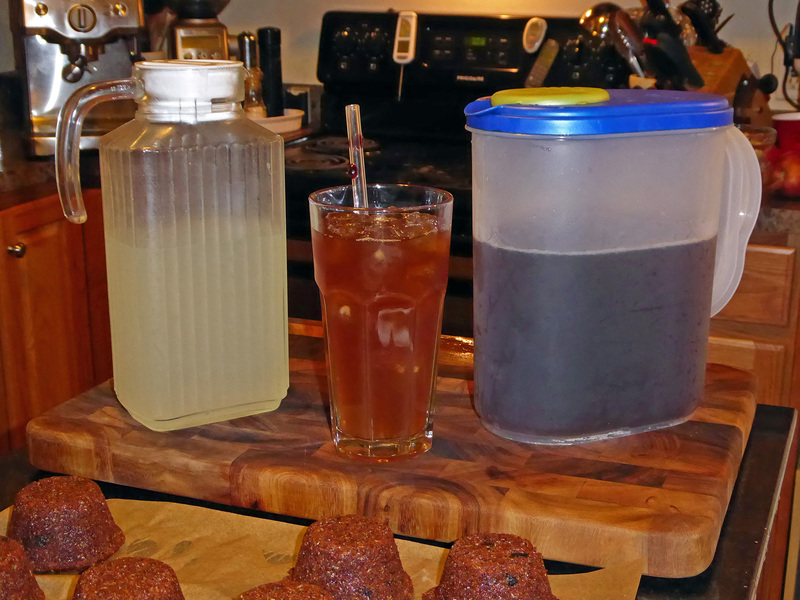 Contrary to the 1:1 iced tea to lemonade ratio places most often serve under that name, Palmer himself preferred 2:1 tea to lemonade, as do I, except that I use a freshly-squeezed lemon-limeade. My tea of choice for a couple decades now has been Luzianne quart-size tea bags for iced tea, the brand most often served in the Southern US. I like a strong tea whose taste doesn’t water down quickly in ice, so I use five quart bags to make a gallon of tea. I go through about a gallon-and-a-half of this mix about every five or six days, which would normally involve a rather large bowl of simple syrup; instead, I use a sucralose solution. In the past several years since its patent expired, pure sucralose powder has been widely available at far cheaper prices than, say, Splenda packets – about one sixth the price in the end. It’s not a supermarket item, though, because the pure powder is 600 times sweeter than sugar; because of this, Splenda uses dried corn syrup powder as filler, which is why you see dextrose in its ingredients. I make a solution of 4g sucralose powder to 2 oz/60 ml of water and use a lab eyedropper bottle to dispense – 3 drops for coffee, 9 for a single 12-ounce lemon-limeade, and so on. It’s even simpler for the iced tea – exactly 1/16th teaspoon of the powder is perfect for a gallon. My lemon-limeade is the juice of half a lemon and half a lime plus 10 ounces/300 ml of water. 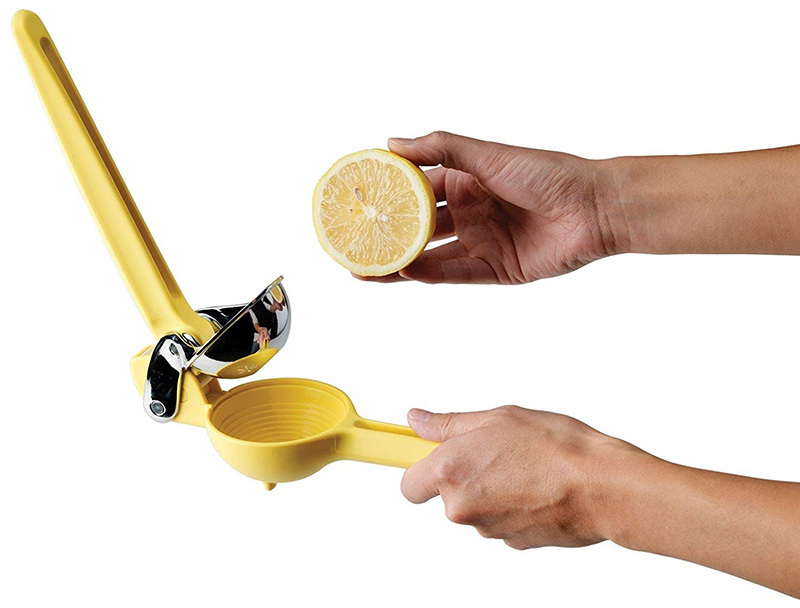 As to citrus squeezing, this is the best tool – great for both lemons and limes. I made a half-gallon of lemon-limeade earlier today, and squeezing every last drop out of twelve lemon and lime halves with this, leisurely, took maybe five minutes total. By the way, the bad reviews of this device you might see are from people who don’t know that you put the cut face down in the juicer. Yeesh. Chef’n FreshForce Citrus Juicer. Dumb name, but it’s the best.